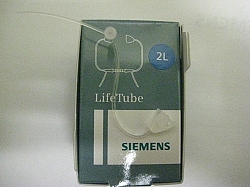 Home > Siemens Batteries, Domes & Accessories > LIFE Tubes (10 Pack) For any Siemens thin tube BTE. LIFE tubes for all Siemens thin tube BTE's. Comes 10 to a pack. Which model hearing aid do you have? For any Siemens BTE using a thin tube.